Brigham Young University in Provo, UT ran an ad campaign for their football team. 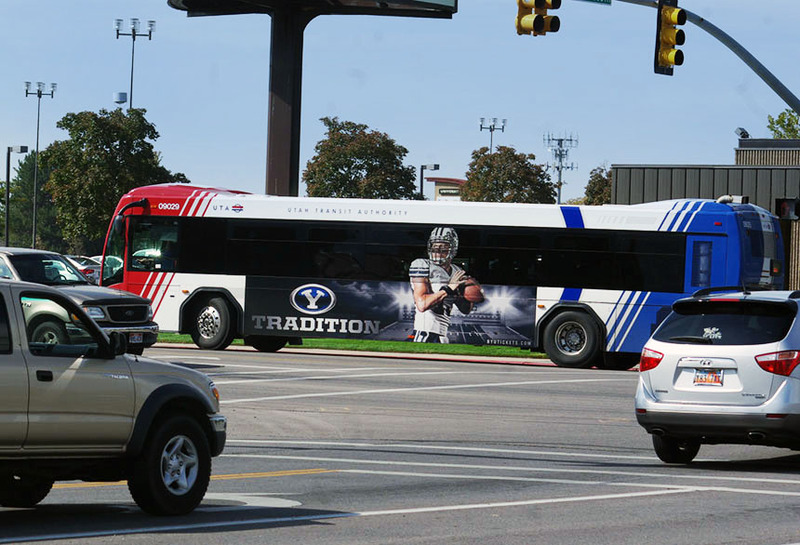 BYU used Lamar transit because it could draw the attention of both pedestrians and motorists as it moved around Provo. The King Kong display was noticeable and effective.